New changes will have implications on the incorporation process for new companies. Is your company ready? 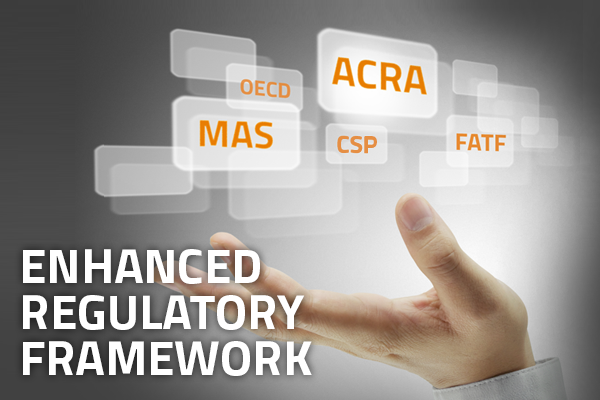 With effect from 15 May 2015, the Accounting and Corporate Regulatory Authority (“ACRA”) has directed corporate service providers (“CSPs”) to comply with the enhanced regulatory framework, in conjunction with the tightened controls on financial institutions that the Monetary Authority of Singapore (“MAS”) has advocated. We take a look at why these changes are being implemented and how they are expected to impact the incorporation process for companies in Singapore. 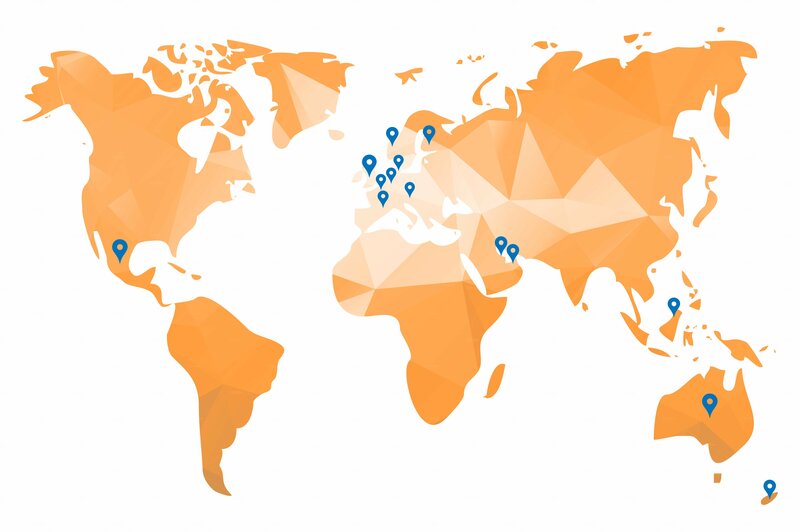 The Organisation for Economic Co-operation and Development (“OECD”) is an organization dedicated to economic development and its member countries are committed to democracy and the market economy. On 13 November 2009, Singapore officially joined the OECD’s White List and has subsequently begun actively adopting more OECD standards, which promotes the exchange of information in areas such as tax, trusts and bank accounts. Previously, the nation-state had been listed on the OECD’s anti-tax avoidance “grey list”, which made it problematic for foreign taxpayers, after a campaign by European countries and the US to end tax avoidance by taxpayers who were beneficial owners to funds held in countries not on the OECD’s White List. Recognising the impact that being on the OECD’s White List has on its reputation and continued success as an international financial hub, the Singapore government has been working closely with the financial industry to ensure that it will not be at a disadvantage as compared to other jurisdictions. As November 2014, the Finance Minister Mr Tharman Shanmugaratnam said that Singapore would be implementing the OECD’s new Automatic Exchange of Information (“AEOI”) Standard by 2018, which has been designed to detect and deter tax evasion by taxpayers through the use of offshore bank accounts. With growing concerns worldwide about money-laundering and the financing of terrorism, the introduction of the AEOI Standard is timely, to mitigate the risks that Singapore faces as one of the most dynamic financial centres in the world. As shown in the infographic, part of the money laundering process involves the injection of illegal funds into a vehicle, such as a company, to disguise the funds as being derived from illegal activities and avoid suspicion from banks and other financial institutions. Across the globe, money laundering has been traced to illegal activities such as illegal arms sales, drug trafficking, prostitution rings, smuggling, embezzlement, fraud schemes etc., which not only exploit innocent parties, but legitimise these ill-gotten gains for criminals and their associates. 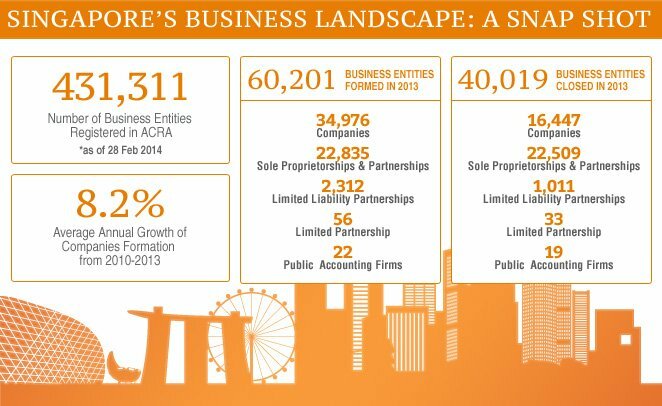 Given how dynamic Singapore’s economy is, it comes to no surprise that 60,201 companies were incorporated in 2013 alone, with the number of companies being incorporated each year increasing. This is partially due to the fact that incorporating a company in Singapore is generally less tedious and can be done relatively quickly; taking an average estimated two and a half days, according to a global survey conducted by the World Bank. In light of the fact that private limited companies are a convenient vehicle for criminals to conduct money laundering activities, coupled with the rise in horrific terrorism attacks occurring throughout various parts of the globe in the last decade, it has now become essential that measures are implemented to mitigate the risks that Singapore faces in being party to money laundering activities. To combat money laundering, the Financial Action Task Force (“FATF”) was established in 1989 to develop a coordinated international response to encourage governments to implement effective anti-money laundering programmes. Having joined the FATF since 1992, Singapore has committed itself to adhering with the standards set out by the FATF. With the new enhanced regulatory framework, CSPs and financial institutions are now required to establish processes to safeguard against possible vulnerabilities to money laundering activities. 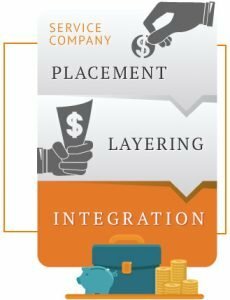 How does this impact a company’s incorporation process? * A PEP is an individual who is or has been entrusted with a prominent public function by a government or international organisation, such as a director, diplomat or politician. His or her immediate family members and close associates are also collectively grouped under this category. Due to their position, influence and the tendency for governments to relax their immigration policies for PEPs, PEPs are considered to be in positions that can be ideal for money laundering, terrorism financing and its related activities. Hence, companies that now wish to incorporate in Singapore should anticipate the paperwork required of them, to avoid a lengthy drawn-out process, particularly if the company in Singapore will be wholly owned by a foreign entities and the UBOs are not immediately obvious. Indeed, the Singapore National Money Laundering and Terrorist Financing Risk Assessment Report 2013 published by the MAS highlighted that CSPs may unintentionally be assisting criminals, who make use of companies incorporated in Singapore to set up complex and opaque structures for illicit purposes, especially when the CSPs are not privy to the company’s day to day operations and do not have oversight over transactions in the company’s bank accounts. Similarly, where banks and financial institutions are concerned, companies will also have to provide similar documentation, before the bank or financial institution chooses to grant the company credit facilities or the opening of bank accounts, which is crucial for the running of a company’s business operations. As one of the world’s most dynamic financial centres, 125 domestic and international banks have branches in Singapore. Particularly for companies that may have foreign investors, the company may find it more practical to choose a bank that also has operations in that foreign jurisdiction. For example, if an American investor chooses Citibank, he or she can usually request that any verification or submission of documents be made to Citibank’s local branch in the United States. With all these changes, why should I choose to incorporate my company in Singapore? Notwithstanding these regulatory changes, Singapore remains an ideal place to do business, given its strategic location in the Asia-Pacific region, population of highly skilled and bilingual workforce; as well as various government incentives that have led to its exponential economic growth ever since it gained independence just 50 years ago. Notably, Singapore has consistently been ranked top in the World Bank’s annual survey of 189 economies on the Ease of Doing Business, for the last ten years. While the regulatory changes may mean a slightly longer waiting time for companies to incorporate in Singapore, potential business owners do recognise that the benefits of Singapore’s first-world infrastructure, attractive corporate tax rates, strategic location and its pro-business policies do outweigh the relatively small pain of adhering to the new regulatory requirements, which are already standard in other developed countries in Europe, as well as the United States. Another key consideration that investors do consider is Singapore’s ranking for its transparency and lack of corruption. In a global survey conducted by Transparency International, Singapore scored significantly higher than its peers in the Asia-Pacific region. As such, many investors do continue to view Singapore as an ideal launchpad to base their regional headquarters from.